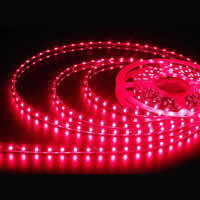 Flexible LED strip is integrated with minimal visual impact on the projects, getting a lighting effect that highlights the architectural form thereof. Your online slimline and easy installation makes it ideal for hallways, cabinets, shelves. 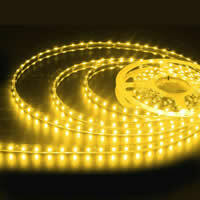 Monochrome LED strip roll of 5 meters (60 LEDs / meter). Chip SMD3528 low power.